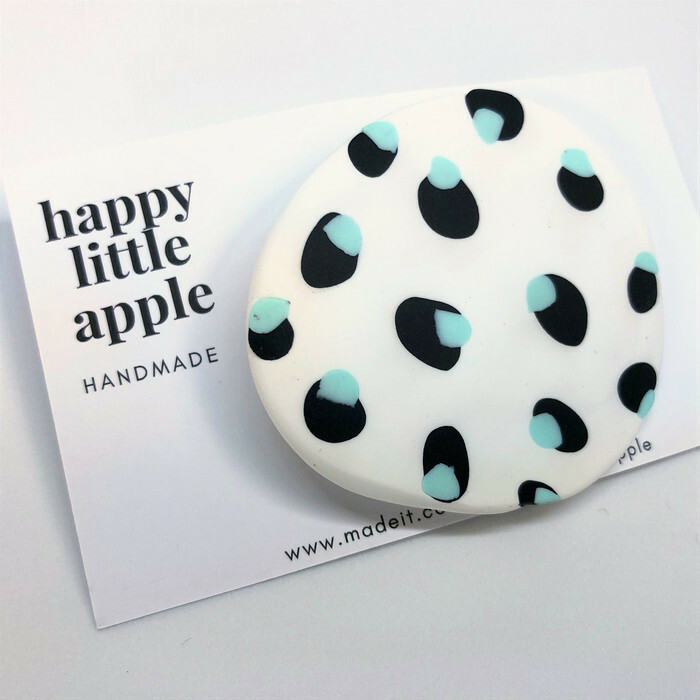 The Bridget brooch is fun and funky, with just enough colour to brighten up a black dress, denim jacket or add onto a scarf. Made from polymer clay, it measures 6cm long x 5cm high (at the longest and highest points). It features an organic, egg like shape. The brooch has a prong and twist clasp. Named after Bridget Riley, perhaps one of the most well regarded 'optical' artists, Riley also experimented with the potential of the limited palette, using black and white frequently in her work.